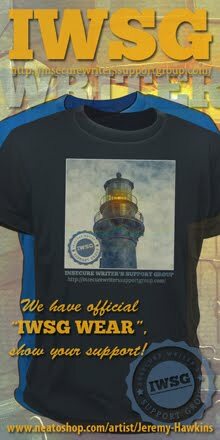 Special sale and giveaway through July 15! All Tyler Karras wants is to enjoy life with his expectant bride. What he gets instead is a graveside seat at her funeral. 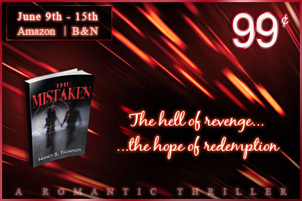 With the woman who killed her uncharged and still free, all Ty wants now is revenge…. Purchase it for only 99 cents at Amazon or Barnes and Noble and enter the giveaway for an Amazon gift card at Nancy’s BLOG. Best book I read last year! Angela Orlowski-Peart’s latest book is out today - Forged by Legacy: Beginnings. Roland Yeomans also has a new book out – The Soul Flies Free. Be sure to check out all of his audio books as well. If you’ve never read her stories, they are amazing! And this is an awesome year for geek movie fans! Pacific Rim comes out this Friday. Del Toro, giant robots, and giant monsters. Reviews say the action scenes are incredible. Downside is cheesy dialogue, but as long as George Lucas didn’t write it, I’ll live. Bring on the battles! Today it’s a free-for-all! Name one of your most favorite movie quotes. And we are taking a break for a couple months! Thanks to everyone who has played along and left quotes in the comments. True story! A lifelong fan of the Cleveland Browns made a final request in his obituary. The man "respectfully requests six Cleveland Browns pall bearers so the Browns can let him down one last time." Read about it at ESPN. Since there were questions Monday, I thought I’d share a little bit of the music side of me today. Most people enjoy music and were influenced by what they heard as teens. My love of rock music started early with bands such as Rush, Kansas, Boston, Yes, Judas Priest, Triumph, ELO, Van Halen, and Blue Oyster Cult. Even back then I liked the progressive edge and my favorite songs from each of those bands were never the radio hits. What were some of your favorite bands as a teen? Just because I can post all three now! And maybe some of you haven’t seen the first two trailers. See some new books to pick up? What's your favorite movie quote? Do you enjoy book trailers? Seeing Pacific Rim? And what are your early musical influences? Congratulations to Angela, Roland, and J. A.! I missed Pacific Rim and will have to wait on Netflixs or DVD. I did want to see it though. Had forewarning about the dialogue but still the sfx looked great. I had trailers for the books but double checked them for my blog Monday. LOL...loved that Cleveland Browns story! Some of my early musical influences were Billy Joel, The Police, and Bryan Adams. all three of these trailers are awesome man. I am going to see pacific Rim, hope to get some good ideas churning. Loved all three Cassa trailers but WHEN is there going to be a film? Believe it or not Danny Boy wasn't on the music scene when I was a teen, I then enjoyed Elvis, Many US stars and on this side of the pond enjoyed The Beatles and Cliff Richard. I grew up with the synthesizer, so real guitar bands were frowned upon. From Gladiator "My name is Maximus Decimus Meridius, commander of the Armies of the North, General of the Felix Legions and loyal servant to the TRUE emperor, Marcus Aurelius. Father to a murdered son, husband to a murdered wife. And I will have my vengeance, in this life or the next. " Nothing like revenge or history being rewritten! I'd like to see Pacific Rim. Congrats to all those with new and upcoming releases! Kinetic looks especially interesting to me. I am definitely going to see Pacific Rim. Yes it looks super cheesy but I don't go seeing a movie like that expecting Oscar material. As long as it's entertaining I'm good! Love the Usual Suspects quote. What an awesome movie. SK, you're welcome, and thanks! JL, I'm looking forward to the feature on Monday - you have me all curious now! Brandon, I'm hoping for some good ideas as well. Yvonne, I don't know, but I wish there was one! Mark, I laughed. And I am going to educate you on Rush. It's my new life mission. Optimistic, that's how I feel as well. Just entertain me. Haven't read any of those books, haven't seen the movie and was stuck in classical music as a teen (I didn't have a radio or anything.) Lol! Great comment today, huh? That obit snippet was funny! As for my fave bands as a teen? I'd say Guns N' Roses, Metallica, The Beatles, and Steve Miller Band. I know there are more, but those are the ones that come to mind. Having been to see the movie, I got stuck on Benny Goodman as a teen. I guess the Big Band era was before my time, but its what I latched on to. Then Reggae and Disco came along and I went nuts because I loved to dance. I also love classical music. Congrats to all the new authors. I got The Mistaken early on when it first came out. I just have to sit myself down long enough to read it. I've mainly been reading things withing my writing genre and The Mistaken would be a nice and thrilling step away from my norm. The cover for Kinetic is AMAZING. And I'll certainly be going for my copy of Angela OP's Forged series book. Tombstone is another movie with great quotes. I'd pick anything said by Val Kilmer's Doc Holliday! Musically I'm eclectic but lean to harder rock. Loved the Browns fan story Cleveland hasn't had a winner in a long time. Love the Trailers. Wow- that's a lot of questions. I will attempt to answer the best I can. (1) This geek girl is very excited to see Pacific Rim. Probably be one of the only girls in the audience that's truly excited to see this movie, but, eh, I am used to that by now. (2) Great quote about the devil and unfortunately that rings with truth! I have too many favorite movie quotes to come up with one. It would take me all day to narrow it down. (3) When I was in my teens I had diverse taste in music (as I do now) Some days you would hear Vivaldi's Seasons coming from my "tape player" over and over and over again, the next day you'd hear The Cure or Depeche Mode, the next Van Halen, The Clash or Queen. Sometimes you would hear a whole day filled up with nothing but jazz, Louis Armstrong is someone I still favor greatly. Broadway show tunes were also a popular choice for me, especially Man of La Mancha. (4) Congrats to all the authors with books coming out this week! Summer seems like a great time to launch some books! A revenge thriller where the target is a female murderer? That's a new twist! LOL at the browns, go out with a sense of humor. Cassa movie should be next on the list. "The guy who shot me! The same albino jackrabbit son of a ***** who did Hunsacker." "Yeah, I'm sure man. I never forget an ***hole." Jo, that's an interesting mix of music. Angela, you will enjoy her book. And I'll be your Huckleberry. Jaybird, no, I think you covered them. My geek girl wife will be in that audience as well. And you really win for eclectic music! I loved the Cars, Blondie, Pat Benatar...Just about everyone back in the day. 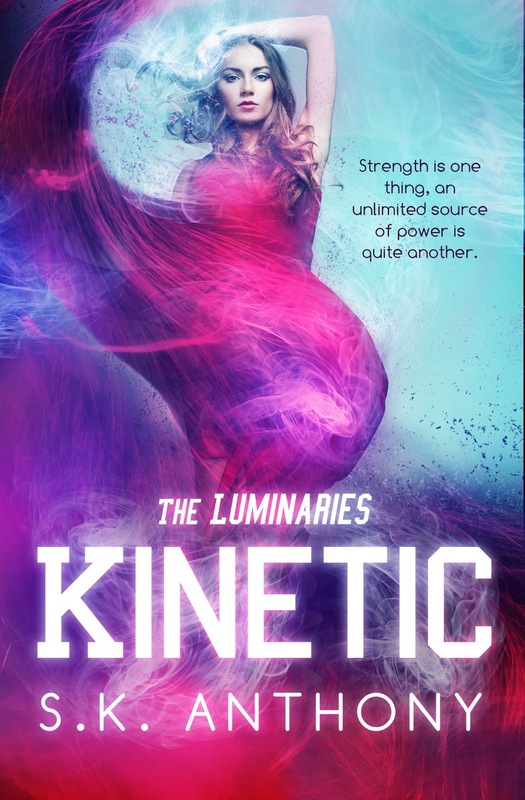 Wow, the cover of Kinetic is gorgeous! Pacific Rim sounds like a great movie! So nice to see all of your trailers together! Thanks for the Cassa Triple Treat! My early musical influences come from the 70's and 80's... and include an assortment of genres... disco, pop, jazz, rock! oh, there is always so much to see and do and read over here at your blog! i keep thinking i'll pack a brown bag lunch and just sit for the day doing nothing but browsing and browsing...and browsing...what a great playground for things exciting! many thanks from us all! I must be living under a rock because I've not heard of the Pacific Rim movie. Definitely intrigued, though. Looks like we've some top-notch books to choose from. Should I be embarrassed to say that I loved ABBA? Simon & Garfunkle? Sting was an early favorite, along with Elton and Billy Joel (still faves). Funny story about the last request regarding the man and the Cleveland Browns. Sports people are NUTS. Hahahaha. I have enjoyed your Movie Quote Wednesdays. I do hope that you bring them back eventually. Wow there are some great looking new books out! Congrats to everyone! I love your new trailer, so cool! I'm terrible at remembering movie quotes but one of my faves is from Happy Gilmore. Shooter McGavin says, "I eat little pieces of sh** like you for breakfast." Mark, shame on you.. I need to send him a link... wink! Not interested in the Pacific Rim film, no nothing about it. Congrats to all the wonderful cover releases and book news. Mark, really... we have to get him something, stat! I saw that about the obituary...haha. Your musical influences are awesome!! Love those groups. And I'm so excited about all the "geeky" movies coming out this year. Thanks for helping me pimp my sale! My favorite movie quote is from Scarface so I can't repeat it here. But my second favorite is, "I'm just a girl, standing in front of a boy, asking him to love her." *sigh*. I love Notting Hill! Yes, I love book trailers if they're done well like yours. You & I share a lot of the same early music influences, but the greatest for me as a teenager were Led Zeppelin & Queen. Nancy, I would LIVE in Notting Hill if I could. Except I'm not moving, ever again. HI ALEX! Sorry I haven't been around lately but I see you're up to your usual extreme business. My hubby is all excited about that Pacific Rim movie, too. It's not exactly my cup of tea but I'll go anywhere as long as there's popcorn involved!!!!! Enjoy it, dear Alex! Congrats to those with new book releases. Whoot!!! And that Cleveland Browns comment - hilarious. Also, I went to see Man of Steel Monday night in IMAX 3D and they had a trailer for Pacific Rim. It does look AWESOME!!! Yay, Nancy! And congrats to all the others. Judging by the outstanding trailers, you're definitely on a roll, Alex. Look out world, eh! Congratulations! I think you deserve huge success. Seeing Pacific Rim first showing Thursday night in the VIP theater. Then going again Friday. Then I'm seeing a matinee for it on Saturday. I think that will about do it for Pacific Rim. Three times in one week. Cameron Poe: Sorry boss, but there's only two men I trust. One of them's me. The other's not you. Cool trailers, all. Love that story of the Cleveland Browns fan. Some great new titles to add to our TBR lists. Congratulations to all. That laugh was hilarious! I hope the guy got his wish :) Great trailer!! That Browns comment is hilarious! I'm originally from Cleveland, so I totally get it. Oh, I had to laugh at the Cleveland Browns' fan's request. Brilliant! Congrats to J.A., Roland, and Angela! And I love SK's cover! I'm excited to see Pacific Rim. At first, I didn't really care, but read a great article about the movie that changed my mind. Can't remember where I read the article though. Jemi, and he used to write a song for them every year. Cassa Triple Treat - Michelle, I like that! Liz, I remember them as well. Robyn, my wife likes them, so why not? Jill, that last one is great! Robin, I'll bring it back in September. Nancy, I figured we'd like some of the same ones. And you are most welcome. Cathy, you've been busy moving! Michael, hopefully it's good then! Tyrean, thank you! And you should go. Throw Milk Duds, they'll hurt more. And that is a funny quote! All three of your trailers are fantastic! Congrats to the authors! Great Cleveland Browns story! Great Browns joke!! Early music influences are many but include Yello, Queen, Rush, The Police, Metallica, Jane's Addiction, Living Colour. The uniform in the CassaFire trailer reminds me of the Captain's Uniform on Star Trek Enterprise. What do you use to make the trailers? They are great! Some good bands you have on your list. I listened Pink Floyd, Jethro Tull, Led Zeppelin, Maymem, Tom Waits, and some Nordic bands you probably never heard of. I love that movie quote. Not just the line but how it was said. That was just as important. I think Pacific Rim looks great. Especially the Charlie Hunnam part! I'm a little pissed cause they're comparing him to Brad Pitt, mostly in looks. I must protest! I guess they've never seen an episode of Sons of Anarchy. They would stop comparing immediately. Rant over. Considering we are around the same age most of those bands are my influences as well. My house was very eclectic when it came to music. Dad listened to country, mom to opera, brothers listened to all the rock and heavy metal. I'm still a fan of it all. 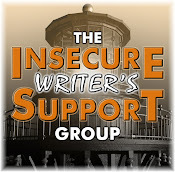 You have highlighted fantastic authors and books-- cheering them all on. I have very simple, non-complex tastes in music. Mostly I listen to it when I work out, so I like it peppy and with a strong beat. Otherwise, I'm afraid I'm awfully boring. I'm so embarrassed to admit I haven't heard any of your music influences before. I'm so uneducated! And LOVE your book trailers, Alex. Love. I'm a fan of book trailers--they've been enough to entice me to read certain books before! There's way worse out there than George Lucas, and I think this movie is going to prove to be one of those. However, I do have plans to go see it this weekend. I will note, though, that I am not the one choosing the movie. I was out voted: 3 to 1. Wow look at all them books!! That's an awesome quote from The Usual Suspects. And so true! Couple of quotes I use all the time are, "It can't rain all the time." And "Bleeding hearts of the world unite!" But oh so many more. I was a teen in the 80s but the music that really spoke to me was when I was 18/19 and the early 90s grunge/alternative scene exploded. Hart, that's right - rock on, sister. JM, I didn't - my publisher made them. Cold, older ones no, although I listen to a lot of new ones now. Heather!! That's quite the mix of music. And I have a feeling Hunnam's movie will do better than Pitt's this summer. Andrew, del Toro cannot make a bad film. Alex, thanks for the support! I really appreciate it. I've seen the trailers for pacific rim. It looks like power rangers for adults which means a lot of giggles for me. Kansas and Boston sound familiar to me. I think I heard them too, some songs. Bruce Springsteen, Bob Seger, Billy Joel, Boston, Led Zeppelin, Pink Floyd, as well as a smattering of one-hit wonders. The last book I read is the book I'm critiquing for a blogging buddy. I read the whole thing yesterday. Could NOT put it down. It's going to be awesome! I would LOVE to dig through your old records and cassettes, if you hung on to them. Analog Bliss. Great to see all these books out. Yay for everybody. And neat to group all your trailers together. It's like a mini movieathon. Three things: One, I can never listen to that Blue Oyster Cult song without thinking of Christopher Walken.Two, you're trailers get better everytime. Three, I don't care how bad the dialogue is I'm seeing it this weekend. Pink Floyd. Now I have The Wall playing in my mind. I loved Rush back in the day...2112, Hemispheres, etc., their albums always told a story and I loved that about them. Plus I've always had a soft spot for 3-person bands who could make so much sound, like the Police and Rush. But my favorite bands from my youth will always be Depeche Mode and the Cure. Yeah, there are some good movies about to come out. And yes, I will go see PR. PK, grunge music changed the industry. And that first quote is from The Crow! Jai, you're welcome. And that's funny. Suze, I think the cassettes are gone but I still have all of my old records. Elise, it is cool to watch them in order. Maurice, thanks, and I'm not missing it either! Lola, that's what is so amazing - all that amazing music from three guys. My favorite band was Led Zeppelin. It was Bonzo that made me want to start playing drums when I was about 11 years old. The idea that, I, a little nothing skinny girl from Cork could have all that power woke up something deeply ancient and Celtic in my blood. The Cream was another influential band for me as Ginger Baker got me into jazz drumming. And then there was The Who. Ahhh Moon the Loon and his seemingly chaotic attack gave me freedom like I'd never experienced before. I never saw Usual Suspects, but the same line (paraphrases Charles Baudelaire, if my college lit memory serves me) is used in End Of Days. Many of my favorite bands mirror yours ( Kansas, Boston, Blue Oyster Cult), as well as Rundgren/Utopia, Springsteen, Frampton and Bowie. I was a late convert to Yes and Rush. I did not get really into prog until the Asia album came out (loved "Sole Survivor"). I listened to a lot of Boston, Kansas and ELO. Not going to see Pacific Rim. Looks like a total guy movie to me. I'm kind of boring in that I've had the same favorite bands pretty much since I fell for them. My first musical love, The Monkees, are still one of my favorite bands, which has been for over 80% of my life at this point. I've always loved the oldies and classic rock bands more than anyone modern, though I do have some special exceptions. It would be extremely rare for me to get into an all-new band, in lieu of a band that started before I was born or who started when I was a lot younger. Anne, we should start a band! You have to cover drums and singing though. Larry, and now there is a whole world of new prog bands. Susan, it is a bit of a geek boy's dream movie. Carrie-Anne, I am all about the new bands coming out, but Rush will always be my favorite, and they've been around for years. Always loved Boston, but ELO was my first concert experience. Peace of Mind and Sweet Talkin' Woman. Excellent. I saw that obit online. It's almost too good to be real. Looks like there are some good books coming out. I'll have to think about which ones I want to by (I always have to think about it; I take forever like that). I want to read The Mistaken. Dunno when I'll get to it though. Cool character on the cover of Roland's book. 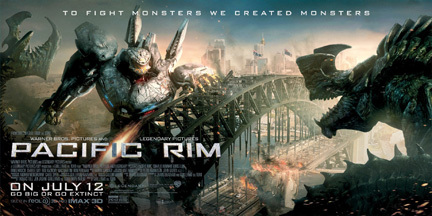 Congrats to the authors with the new books... Oh, Pacific Rim comes out today here in Australia... I'll be watching that this weekend. Can't wait. I may have to look into some of those books you are promoting, thanks Alex. 'The needs of the many outweigh the needs of the few, or the one"
All those bands were on my turntable many many times. I to usually found a song out of the mainstream playlists that stuck with me. One of my favorite Rush pieces was Temples of Syrinx. I listen to that still today. I also had the Led Zeppelin, Black Sabbath (Fairies Wear Boots is still a fave), Jethro Tull, Elton John (Yellow Brick Road is a monster album), Queen, Mountain, the Sammy Hagar-led Montrose, Bob Seger, and I'll stop now because I spent a lot of time listening to music! I used to joke around and tell people I discovered BOC...and I did in my home town! No one had ever heard of them until I brought their Blue Oyster Cult and Tyranny and Mutation albums to the high school parties! Thanks for bringing back some good musical memories, Alex! Very nice of you to give Jai some spotlight, Alex. Hope her release is going well. And I can't wait for Pacific Rim. Going out with friends Sunday night or Monday. One of my all time favorite quotes: "we're gonna need a bigger boat." I like understatements. Excellent covers, and I love your book trailers. I have to say though, the first will always be my favorite. My TBR list is so huge Amazon has stopped asking me "how many stars would you give . ." because I don't seem to get around to reading them timely. I'm in two minds about Pacific Rim - I might just wait for it on DVD. It feels like it's trying too hard. Hi Alex .. congratulations on the three trailers - I was disappointed as I thought CassaStorm would be 1min.09secs long too!!!! I'm deprived! I thought Bassa was great! However I'm sure I'll really appreciate the read of your next two .. I did enjoy the first .. 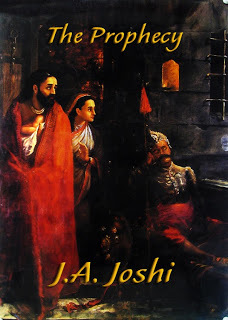 So pleased for Roland and I must get his audio book, and I saw your note on JA Joshi's book in your last post, and too the fact that Angela's book was your best read of last year .. I do like a book trailer, I just don't like making my own lol! Thanks for all the updates on the book releases. Congrats to all the authors! Blue Oyster Cult would be on my list too! Jeff, never saw them in concert. The spaceship would've been cool. Chuck, excellent quote. I'm guessing they didn't know about Soft White Underbelly either. Donna, great quote! And my backlog of books is beyond huge. Jamie, Maiden can still rock! Moody, need a bigger harpoon. Congrats to all the authors on their newly published books! The Mistaken sounds really good. Thanks for sharing! I loved Guns n Roses, Metallica, and Nirvana as a teen. I love the covers, descriptions, and book news. I'm reading Donald Maass' Writing the Breakout Novel right now, not going to see Pacific Rim but am anxiously awaiting Elyssium. Congrats on all the reveals and releases. If you don't have The Mistaken, get it. It's good. Cheesy dialog in Pacific Rim? I hadn't noticed any yet. Hope you enjoy Pacific Rim, Alex! Not sure if I'll go see it... I've never been a sci-fi geek, always more of a high fantasy geek. But it sure looks exciting! I think I'm going to have to use a full court press in order to get my family to see Pacific Rim. I understand why my wife might be reluctant, but my kids don't seem impressed either. What's wrong with the younger generation? "respectfully requests six Cleveland Browns pall bearers so the Browns can let him down one last time." - I love this man. Brian, I would've enjoyed that! Ken, what is wrong them? Take them anyway. Thank you for mentioning Forged by Legacy, Alex! Congratulations to everyone with new releases, cover reveals, and special offers. I love all three of your trailers. Wow. Alex, I enjoyed watching all three trailers. They're all great. Thanks for sharing the Cleveland Browns fan commentary. So funny! Love that "last request." Have a great day, Alex! I loved Electric Light Orchestra. I also love your trailers. Definitely plan to see Pacific Rim when it reaches Jamaica. Thanks for sharing all your trailers and congrats to the latest authors making your post today. Kinetic has a rocking cover! Love the trailers! Also reading whatever comes my way, but lots of Doris Lessing lately actually. So it wasn't a card trick? That Devil's a cheeky devil. I'm reading Joe Hill right now (NOS4A2). Love that guy. Hell, I still listen to those bands. Too many musical influences to list. The Beatles' music grabbed me as early as age six, and many great bands followed. I'm not sold on Pacific Rim. I've read the techno stuff overpowers the story. Let us know! More than a feeling Boston is one of the songs I will never forget! The Doors was THE band that finally "turned me on" to rock with their song "The Crystal Ship." (I was saddened to learn of Ray Manzarek's death.) Then it was the Beatles all the way. I also really, really liked Cream. The song "Toad" with Ginger Baker's long drum solo set my little heart all aflutter. Brandon and Bryan, you guys rock! Cate, I will post my review on Monday. Bish, just a little before my listening time. Roland gave me a copy of his book. Will be starting it tonight! I love the same music! Grew up on real rock n' roll. Also loved old Chicago. 25 or 6 to 4 has THE best guitar riff, IMHO. Oh the Browns thing made me laugh! And I love that quote from The Usual Suspects too, such a great movie. So exciting that you can share all the trailers together like that, awesome. Look at all those books! Yeah! Thanks for sharing them with us. I love The Usual Suspects- great quote. I also enjoy watching book trailers- so many different kinds. Told you I was getting good at this. I'm aware of many of your links. Good stuff, indeed. Not seen Pacific Rim, the movie. However, I've been to the Pacific Rim. I have checked out your caravans, sorry trailers. Nice one, dude. My husband is eager to see Pacific Rim, while I will stay home. All those lights and special effects bother my head. Wow, lots of congratulations going out to authors with new releases! I LOVE that quote! Here's one of mine: Balian of Ibelin: What man is a man who does not make the world better. Kingdom of Heaven. As a small child, I heard Elvis and Motown, Tommy James and the Jackson 5. Earth, Wind, & Fire, Donna Summer, Prince, Styx, Eric Clapton, Rod Steward, BeeGees, Adam Ant (don't laugh! ), Boston, ACDC and Journey. And I listened to 'oldie' shows all the time! wow, so many fabulous new books from great writers. Your trailers are gorgeous, Alex. What exciting stories you've written! Our local news carried the story about the request for Cleveland Brown pallbearers. The poor Browns will never live this one down. Pacific Rim looks like it'll be awesome. And I love that cover for Kinetic! Awesome trailers! They flow very nicely together. As a teen, I listened to a lot of Smashing Pumpkins, NIN, Metallica, and Tool. That line from The Usual Suspects is one of my favs too--very profound! Jay, you rock, and I bet Roland's book is great. Gary, you remember well that era of music. And your football pun was a groaner! Words, good quote, and you listened to a variety. Lynda, that is a very good point. Michael, you're making me feel old! Phew, thought I lost you. You didn't post today. My fav bands and singers? Bob Dylan and the Beatles. Have a great weekend. Showing my age and my temperament, I guess, with my favorite quote. I really have to make more time to read with so many great books out! Wow! Congrats to all of the Ninja happenings. Lots of publishing going around. Maybe it's in the water... where can I find a bottle? CONGRATS on all the new books that are recently released or soon to be released! Book trailers rock! You did a great job with yours. Excited about CassaStorm! Loved the trailers, Alex! I also love the shout out to Blue Oyster Cult - their song 'Fear the Reaper' is my theme song for my book. ;-) I always love your round ups - you do such a thorough job. Wow, there are a lot of books coming out these days! Thanks for sharing them. It's funny how different music speaks to different people. I was a new wave girl with a touch of punk. That is quite a profound quote, indeed, and a little frightening since I've recently had people trying to stifle my right to imply that the devil very much exists. It's madness, I tell you. One of my all time favorite movie quotes, which I'll censor: Marcellus Wallace in Pulp Fiction: "No man, I'm pretty f****in' far from okay." I loved everything here today, but I spit coffee laughing about the pall bearers. I already read and reviewed Nancy's book. She did a great job. Leigh, Taking Fridays off this month. Gail, and I can hear him say that line! Shah, I don't want anyone to go hungry. Lexa, happy to send you down memory lane. Nicki, it is madness. But we knew it would happen. And that is a great quote. Lee, now go dry your computer screen. Can't wait to read your Pacific Rim review! I hope you are keeping cool and your editing is going well! Deep Purple's music was very important in our group of friends, was very tribal! I love your trailers. They are amazing. Whenever your book comes out let me know I'd be happy to help promote it. I definitely agree with Monday's post. There's not enough about Cap'n Ninja himself. I love hearing your personal stories. I'm just in awe of all you do. Oops, forgot you weren't posting on Fridays...#149 I am. Congrats to those with new books and covers! Christopher McCandless: I read somewhere... how important it is in life not necessarily to be strong... but to feel strong. I loved a lot random songs when I was a kid, but didn't stick to certain bands til I was in jr. high. Wow, lots of good news here today. Congrats to Nancy, Angela, Roeland, and the rest. I saw the preview for Pacific Rim. The giant robots reminded me or Robocops! My favorite bands as a teen were The Rolling Stones, Crosby, Stills, Nash & Young, and The Beatles! You have a load of new releases to tell us about. Thrilled for Roland and Jai and the other writers. I just love the 3 book trailers. They are a dream. Wanted to see Pacific Rim at the drive-in while camping, but they're not playing it until we leave! We'll be watching Despicable Me 2 and Fast and Furious 6. That's a lot of great covers! Maybe it's just me, but does Pacific Rim not seem kind of like Transformers? Congratulations to all the ninjas in this post. I particularly like the cover of KINETIC. Very cool. And that Cleveland Browns fan quote is too funny! Kinetik looks amazing, I am always a fool for fantasy :). Some of my earliest music influences were early country and folk like The Kingston Trio, Peter,Paul & Mary and The Statler Brothers. Usual Suspects reference for the win. And stop announcing amazing books, already! My reading list stretches out from Massachusetts to North Carolina!!! Ella, and we've missed you. Lisa, cool your uncle was in a band. Marta, those are good alternatives. Samantha, good quote, and at least the Yankees have won. And Pacific Rim isn't like Transformers at all. Randi Lee, sorry! Mine is huge as well. Very nice trailers. The only thing about going to the movies in the summer is that I want to be outside more while I can. So I will wait for it to come out on DVD. Love the movie quote from Usual Suspects! It's true. Here's one of mine from So I Married an Ax Murderer: "HEED, pants, now!" I agree with Robin. Sports people are nuts. I am one of them! Yes I see lots and lots of books to pick up! My fave movie quote is this:from The Big Lebowski, as the Dude is being shoved into the backseat of a car; "The Dude: Hey, careful, man, there's a beverage here!" The music I listened to as a teen was the Beatles, the Stones, the Animals, the Byrds, and Love. You get the idea.Oh yeah and Jimi! Lots of great book news here! The Mistaken is an amazing read. I grew up in the Britpop era and at the time was more Oasis than Blur. Even had the Noel Gallagher bowl haircut. But this decision was soon reversed! Cindy, it's so hot here, I don't want to go outside! Ian, that's a funny movie. Jean, The Big Lebowski is a great film. Nick, not the bowl haircut! Cool trailers! Congratulations to Roland. The beleaguered Cleveland Browns fan. *shakes head* It's almost as bad as rooting for the Cincinnati Bungles (like I do). What a great list of reading! Yes, Alex the Ninja is rocking!!! Mighty fine book trailers, Alex! I liked a lot of the New Wave stuff when I was a kid -- and U2, of course. For my movie quote I'll go with Peter O'Toole in a small film he did in the 80's. It's called Creator and one of my favs. "One of these days we will look in our microscopes and find ourselves staring right into God's eyes, and the first one who blinks is going to lose his testicles!" As for music, I grew up with pop music until I took a wood shop class in junior high. That's when the long hairs shared their Ozzy, Judas Priest, VH, Kiss and all the bands you mentioned. It may have begun as a peer pressure thing, but that music was and still is true and real, and I never went back to pop. Congratulations to Roland and Nancy's giveaway sounds great! I still listen to Van Halen and Rush every time I go running. Excellent music inspiration. Loved early Van Halen, right up til 1984, then ikt was all downhill. LOL Rush is good, but I never really got into them. I'm Aerosmith all the way. I also had my hair band faves like Bon Jovi and Guns N Roses. Pacific Rim all the way! Congratulations to everyone with new books out! Love The Usual Suspects - I got such a thrill the first time I saw that movie. And yay for prog rock!